“Artificial intelligence will reach human levels by around 2029. Follow that out further to, say, 2045, we will have multiplied the intelligence, the human biological machine intelligence of our civilization a billion-fold.” Ray Kurzweil. However, in current stances, AI will not take over the world because a machine is still a machine, they are still incapable of thinking like human beings do, the only thing that they are more powerful than us is the efficiency of giving answers towards the problem. It is undeniable that AI is a powerful tool in supporting companies and their customer services. Narrow AI aka weak AI has existed since the 1950s; this kind of AI is highly specialized systems that are optimized to play games, translate languages, recognize images and listen/produce speech (Wanderingalphe, 2018). This, in other words, is the system that has been built into our daily devices such as computers or mobile devices. To expand in weak AI, some social media platforms have invented speech/text recognition. For example, Amazon has Echo, which allows you to order an Uber car or a Domino’s pizza with speech; while Facebook Messenger allows users order flowers via chat; and Baidu’s new Chabot assistant, Duer, allows you to order products within its interface. These speech recognizers are rather practical and are currently evolving. ANI presents as the tasks that can simply be done by human brain; however, artificial general intelligence (AGI) is presented as a system that would be able to complete the tasks that can be done by human beings or even better than well-trained human. It can finish all tasks simultaneously. That is why scientists and many companies are in a race to develop AGI. It is not currently existed and it is hoped to reach the world near the future between 2020 and 2030. Despite AGI seems to be a tech revolution, ASI appears to be more unrealistic. ASI has not existed on this planet yet will be coming out in the near future. It is estimated to be faster and smarter than our brainpower by seven million times. (WanderingAlpha, 2018) In the current situation, the lack of information is not able to create ASI system so it will face the world in the future. It is just a matter of time. Generally, programmatic advertising uses the technology of artificial intelligence to automate the process of buying and selling ad inventory through an exchange that connecting advertisers to publishers. Further, it does the real-time bidding across online advertising platforms. Other than that, artificial intelligence will identify the audience data through cookies data. A case study of using programmatic advertising has been successfully proven that it brings tremendous result in terms of ROI of AI. Artificial intelligence is a machine, so they do not have to sleep or rest, hence to bring up the efficiency of work. They can continuously be doing the same task without getting bored or tired. As mentioned above, AI is good and fast in giving answer towards the problem plus will never get bored of doing the same task, this will help to increase the efficiency in terms of the progression of tasks. So, this definitely, helps in time-saving. In here, it is not bad for the term thoughtless or merciless. In fact, it is complementing the emergence of AI. Because emotions often affect the rational thinking of a human. Often times, it causes human to slow down when it comes to decision making. Being emotionless, robots can think logically and take the right decisions. It brings up the efficiency of working. One of the greatest disadvantages of AI is the cost of the maintenance and repair. 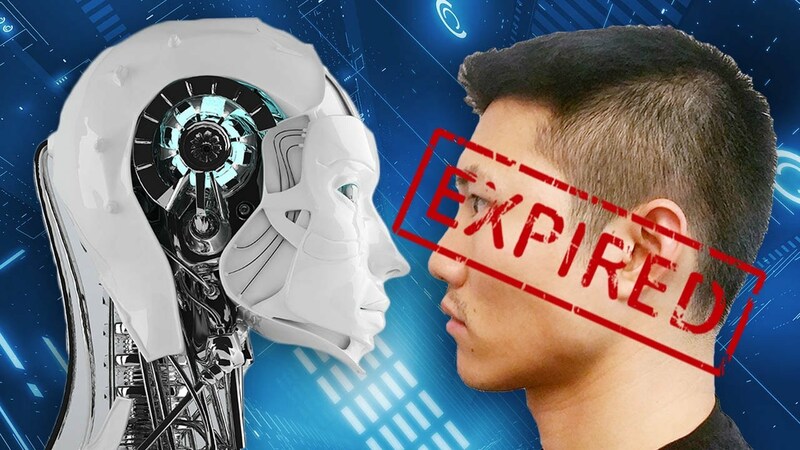 AI programs should be updated to suit the changing requirements and make it become smarter. In case the machine is broken down, the cost of repair may be rather high. Do you reckon an emotionless object would win an emotion object in terms of creativity? Most of the time, one of the elements in composing a creativity idea is an emotion. Machines do not have emotion; definitely, it lost the chance to become a creative object. Not to mention, machines lack common sense. Human beings often respond to different situations quite easily as we learn things from time to time. Through experience, we improve ourselves; however, machines do not. This leads to machines may not be as efficient as humans do in altering their responses during on the changing situations. Without moral values, AI cannot make judgment of right or wrong. (Wisestep). As they are programmed, everything they do is just following the program instruction. When they encounter a different situation, either they do it incorrectly or breakdown. Then it goes to the first one, it will cost you pricey. Now, we see the pros and cons of artificial intelligence and understand what AI is, the probable can know the answer to the topic today. Will AI rule the world? In current stances, AI will not rule the world but to make the world better. Apparently, the efficiency of working is better than human beings are and they will never get bored of doing the same thing. However, ethically, they do not work as good as humans. In the future, who knows what is going to happen, maybe machine would become emotional? As long as the world is better and everything goes ethically with moral values, it is good enough to protect the world well-being.